Supercharge your game with the Motiv Forza SS! 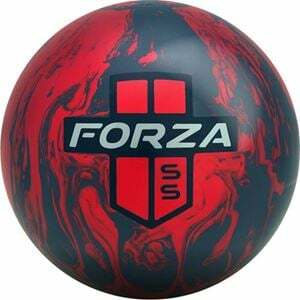 Featuring the Motiv Sigma Core, the Forza SS has a roaring low RG/High differential engine under the hood designed to delivery strong overall hook on the lanes through tough-to-read oil conditions. Surrounded by the Helix HFS (High Friction Solid) coverstock with a 3000-Grit LSS matte finish, the Forza SS is incredibly smooth and strong, making it a fantastic medium oil ball on a variety of patterns. Perfect for when you can't get a read, this benchmark reaction will even the playing field and roar into Victory Lane with ease.